Is the access road from County Road 203 open to the public? The Zink family has posted signs on the gate of Falls Creek Road along County Road 203 to prevent the public from using it to reach the Falls Creek trail system. But some say a court ruling allows public access. This map shows the Falls Creek trail system managed by the U.S. Forest Service, outlined in green, and the Zink property, outlined in red. Can you or can’t you get to the Falls Creek trail system from the access road on County Road 203? That’s the question that has arisen since The Durango Herald reported that the Zink family plans to sell 30 acres in Falls Creek, either for conservation or development. And there seems to be no clear answer. 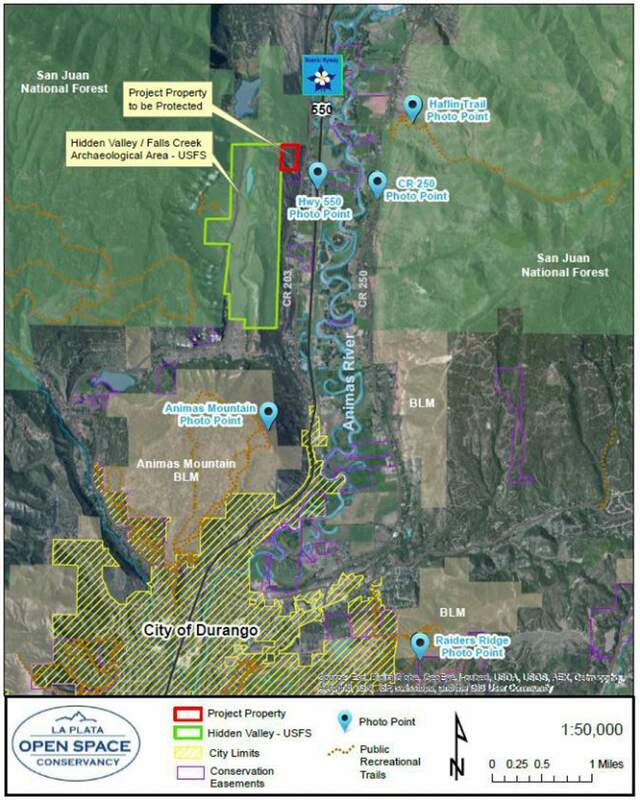 Ed Zink, whose family owns a total of 41 acres in Falls Creek, an area 7 miles northwest of Durango (also known as Hidden Valley), told the Herald the time has come to resolve the future of a controversial 30-acre parcel. Some residents are concerned development would compromise the natural value of the area. The Falls Creek trail system, managed by the U.S. Forest Service, is one of the most popular hiking and mountain biking spots around Durango. It is also home to prime wildlife habitat and the Falls Creek Archaeological Area, which has, among other significant sites, sacred burial grounds. However, where the Forest Service’s land ends, Zink’s begins, and for years, people have trespassed onto the Zink property to reach a popular waterfall, which sits on another 11-acre parcel the Zink family owns. Recently, the Zink family, longtime Durangoans, hit its breaking point, saying people trash the area and create a liability risk if someone were to get injured. Zink said the family will either sell the parcel at a significantly discounted price to be folded into the Forest Service trail system or, if those efforts fail, sell it to the highest bidder. Yet it is the issue surrounding the access road from County Road 203 that has people riled up. Public or private road?About a decade ago, the Zinks put up a gate at the entrance of the dirt road near 3911 County Road 203, also known as Falls Creek Road, which people have historically used to reach the Falls Creek trail system from County Road 203. The road runs parallel to U.S. Highway 550. Ed Zink said earlier this month that people walking on the path are trespassing. Depending on who you talk to, that is disputable because of a1979 lawsuit filed by Ed Zink’s father, John. According to the lawsuit, John Zink had to travel over his neighbors’ property to reach a water diversion that he owned. However, one neighbor, Oscar Sittner, wouldn’t let Zink onto his land and, as a result, Zink sued. Zink said last week he still considers it trespassing for people to use that road. Indeed, the judge’s ruling does not specify the use of Falls Creek Road, and Zink said it is likely a lawsuit would have to resolve that. La Plata County spokeswoman Megan Graham said Falls Creek Road is a public road, but not one that the county manages or has jurisdiction over. Trails 2000 and other websites about recreational trails in the area removed information about using Falls Creek Road in light of Zink’s claims. “At this point, we just need to review all those documents,” said Mary Monroe, Trails 2000 executive director. A second access road?The fact the road is considered a legal public road may also complicate Zink’s application with the Forest Service for an access road from County Road 205, on the west side of his property, which many critics feel would compromise the natural value of the Falls Creek viewshed. In 2008, Zink applied to the Forest Service for access from County Road 205, but if Zink does have legal access from County Road 203, it’s not likely the agency would grant the application. The Forest Service usually grants new access ways over lands it manages only when no other options are available. Mark Lambert, officer for planning and public service for the San Juan National Forest, said the agency is evaluating whether access from County Road 203 is sufficient to the extent the Forest Service would not need to grant access from County Road 205. “We don’t have that answer yet,” Lambert said. Zink previously told the Herald the county doesn’t recognize the road as a legitimate access point and said neighbors in the area won’t allow him to cross over their land. Graham said, “It would be very challenging, if not impossible, for that road to be improved to county road or driveway standards,” but no formal evaluation has been conducted. And it is likely that if the 1979 ruling stands, it would surpass neighbors’ protest about an access road. Regardless, all sides agree they don’t want to see a new driveway. The land is also placed under a conservation easement, which would allow one house and two additional structures. Conservation is the preferred outcomeBoth the Zinks and those advocating for access from County Road 203 have one goal in mind: to raise enough money for the La Plata Open Space Conservancy to purchase the land at a discounted price and transfer it to the Forest Service. “The only way to get these issues sorted out is in court, and rather than spend a whole bunch of money just to have that answer, it makes way more sense to just get it to the Forest Service,” Zink said. The land was listed with the Wells Group for an asking price of $499,000, but that listing has been taken down. Zink hasn’t provided an exact purchase price for conservation efforts, but he said it would be a bargain sale. 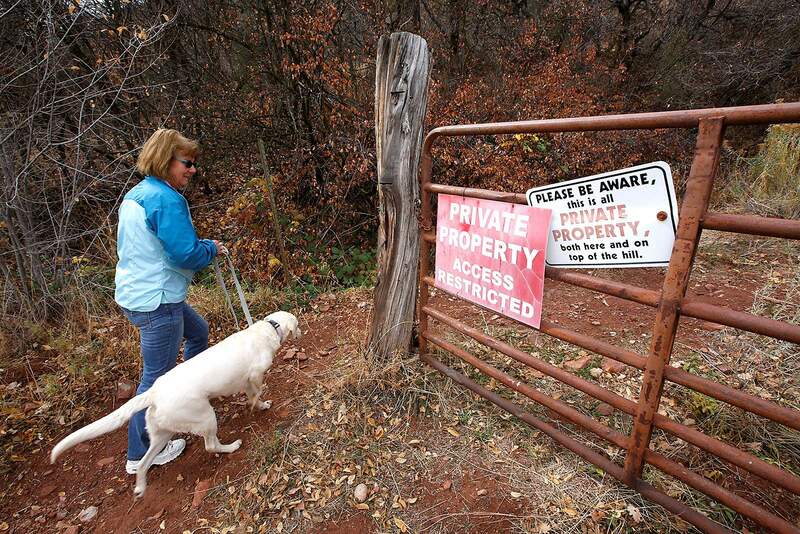 If conservation efforts are successful, it’s unclear if the public would be able to access the Falls Creek trail system from County Road 203. “I think trail users in that area now love the access and want that access to remain,” Monroe said.